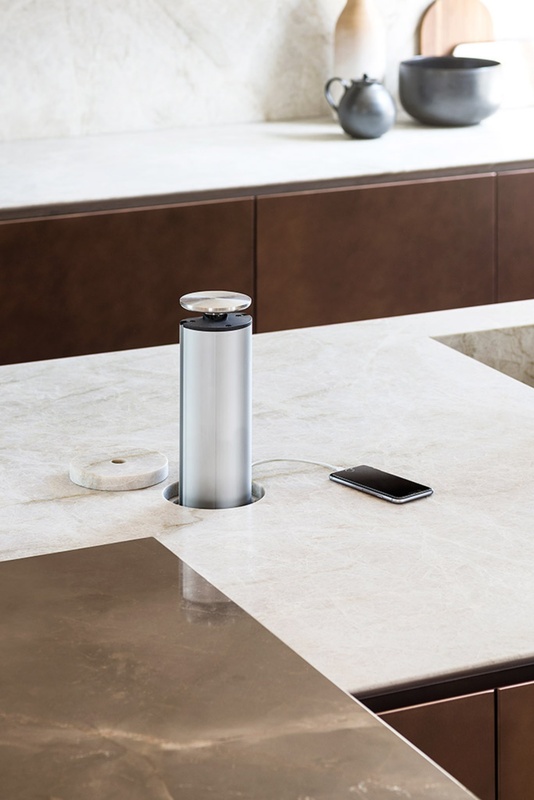 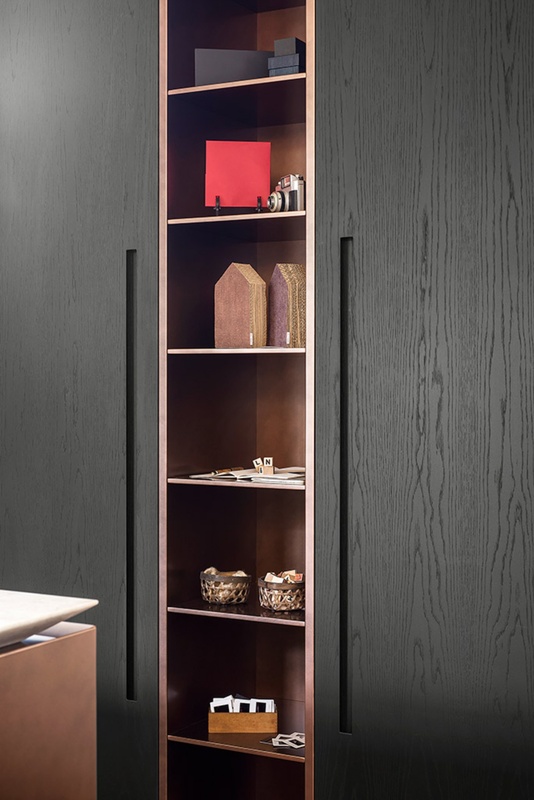 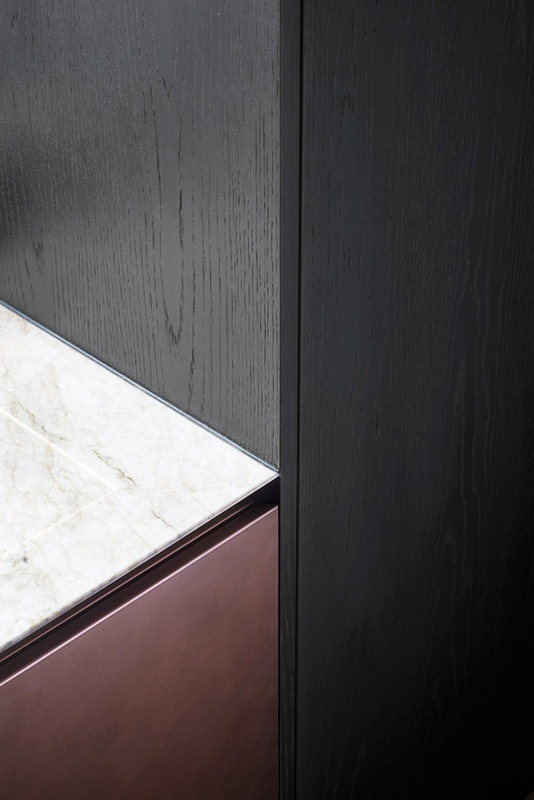 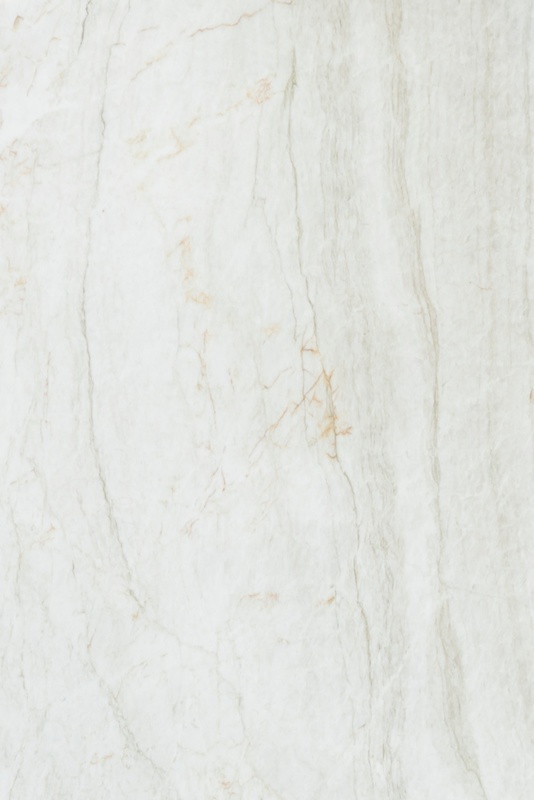 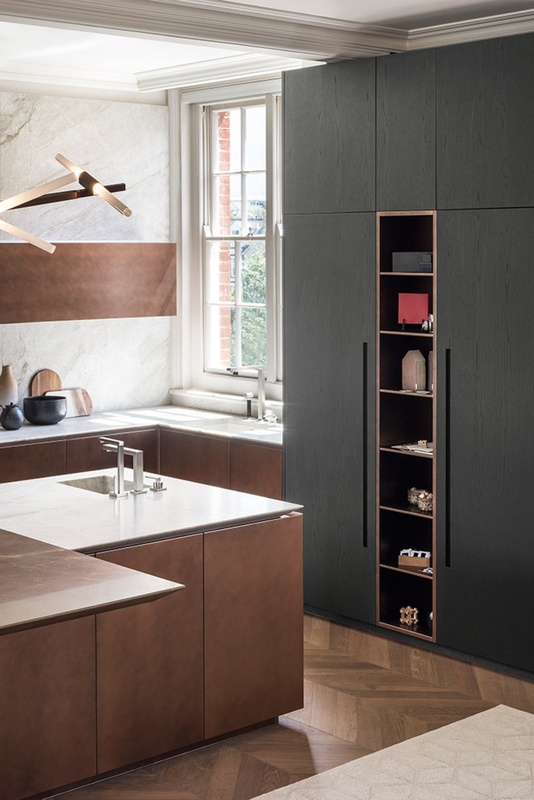 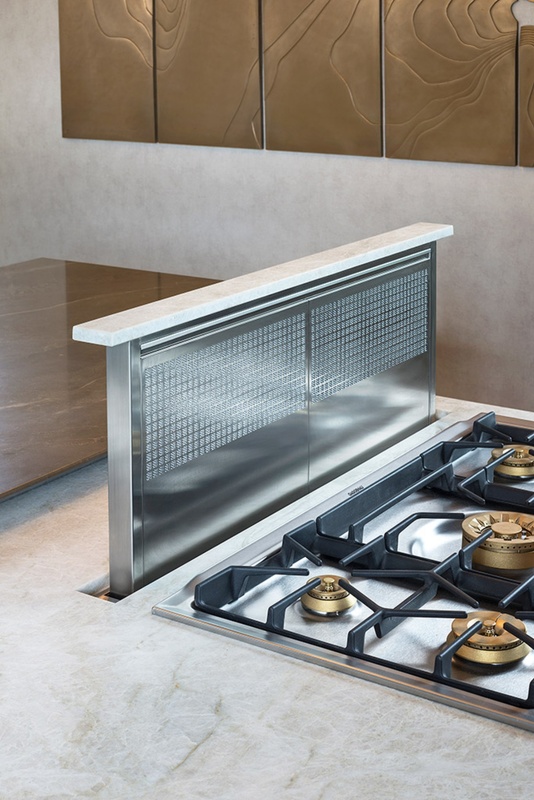 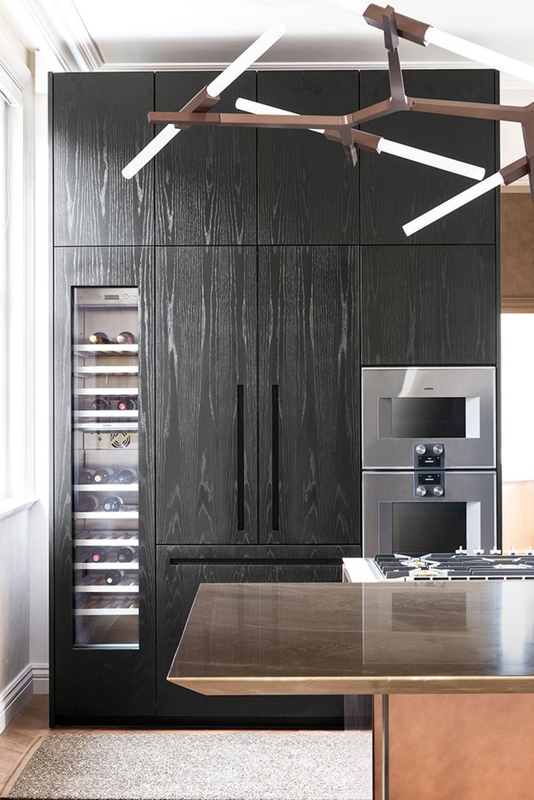 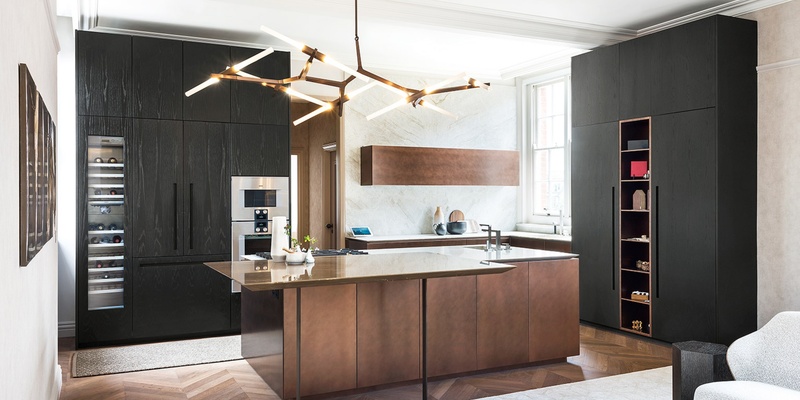 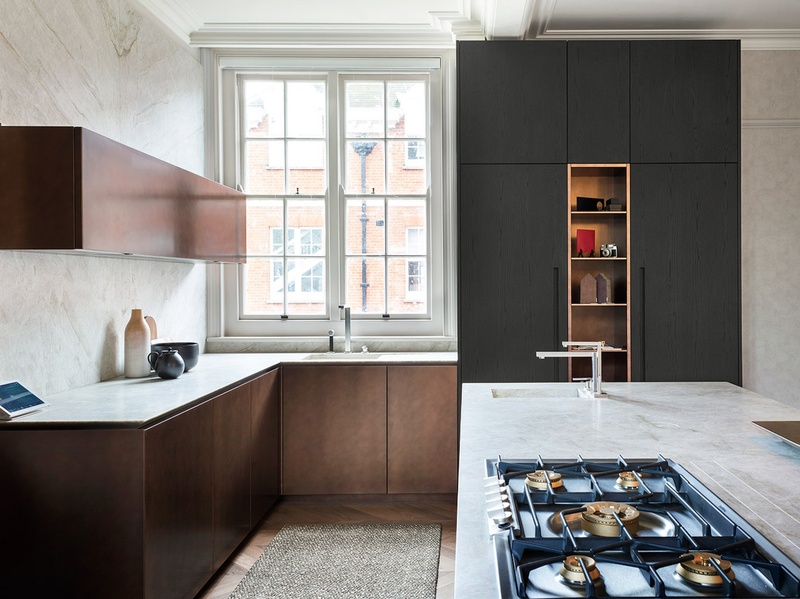 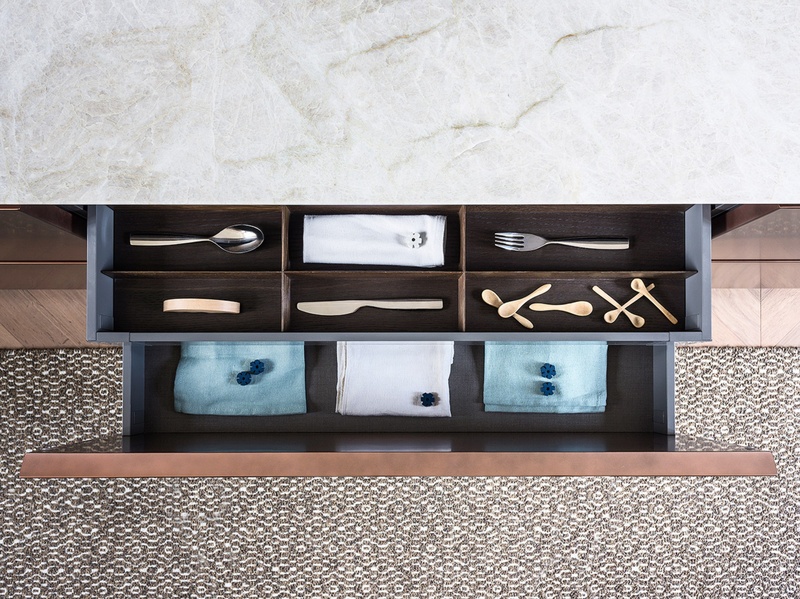 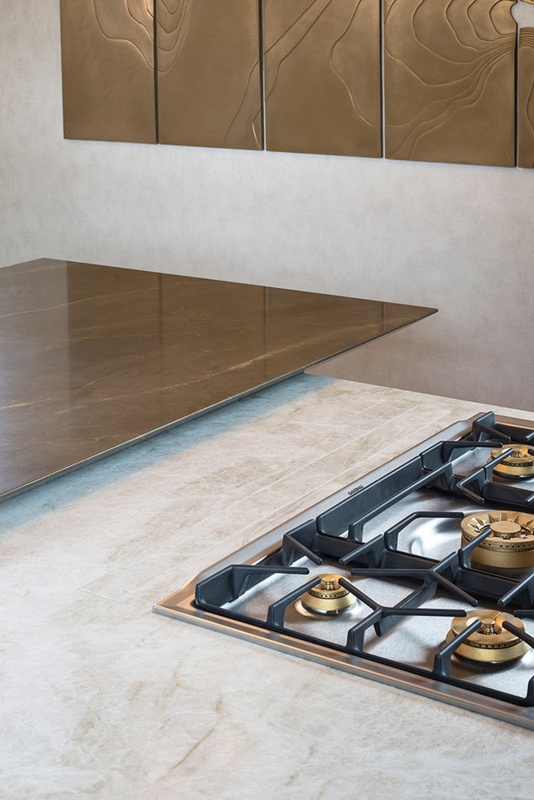 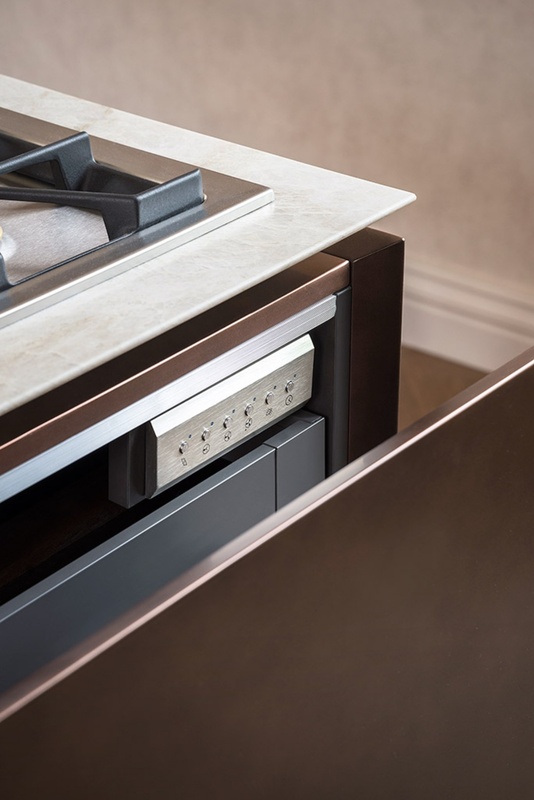 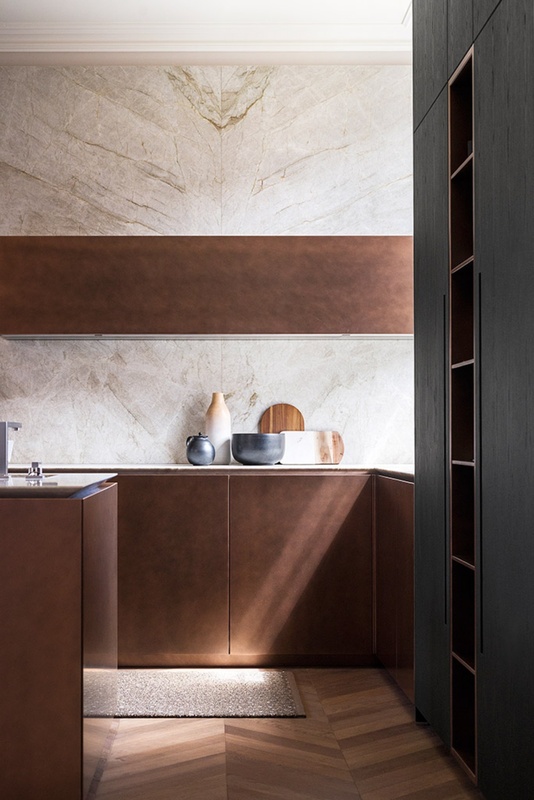 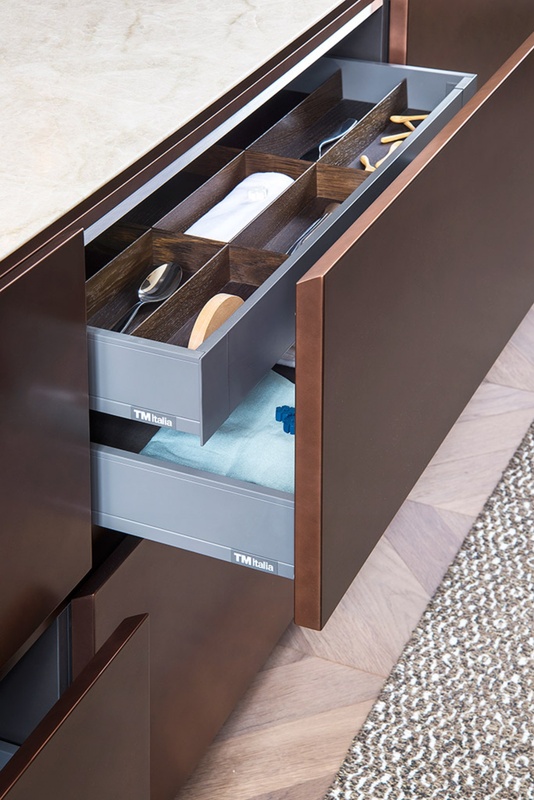 The stunning ‘Handle less 30’ was chosen for its sleek use of mitring and crisp worksurface detail; both the 28mm door and 50mm thick worksurface are cut back at 30 degrees to create the handle less profile. 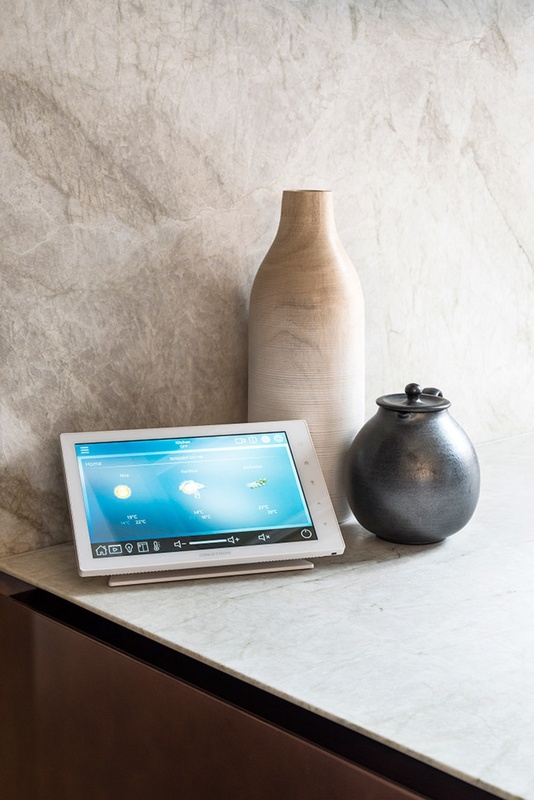 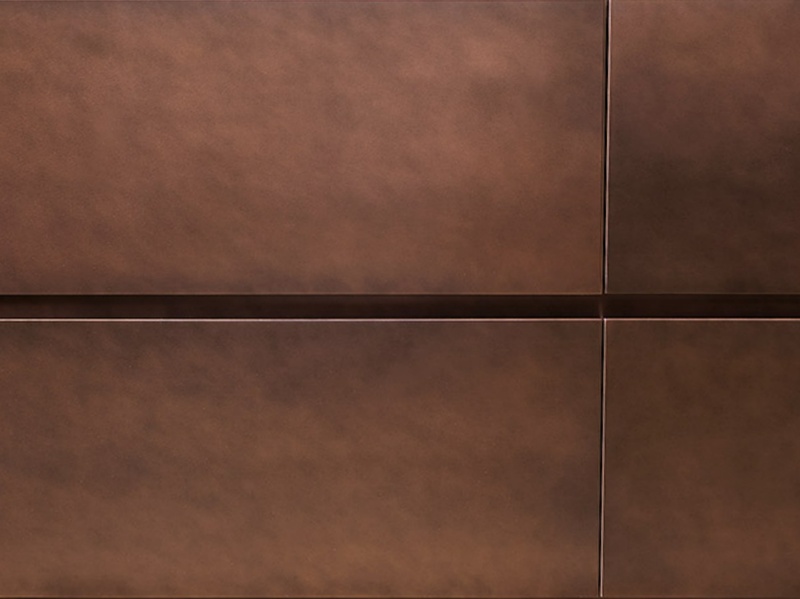 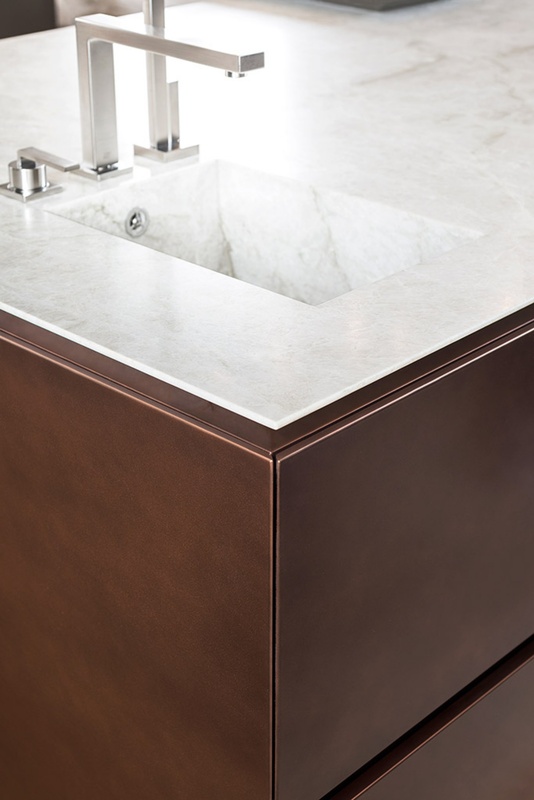 The use of natural stones and a hand finished copper lacquer gives an opulence to the project, without being brash. 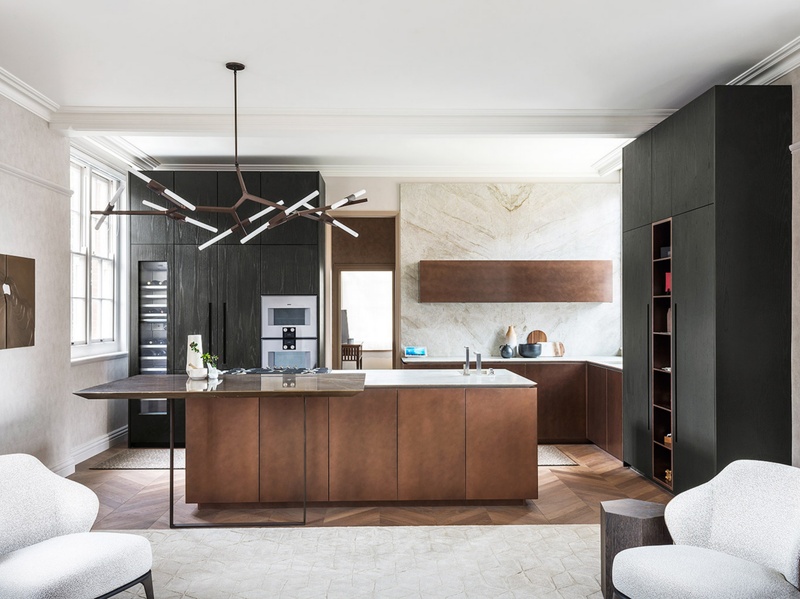 A contrasting marble table was chosen in conjunction with the interior designer’s wall artwork, creating a homogenous environment.